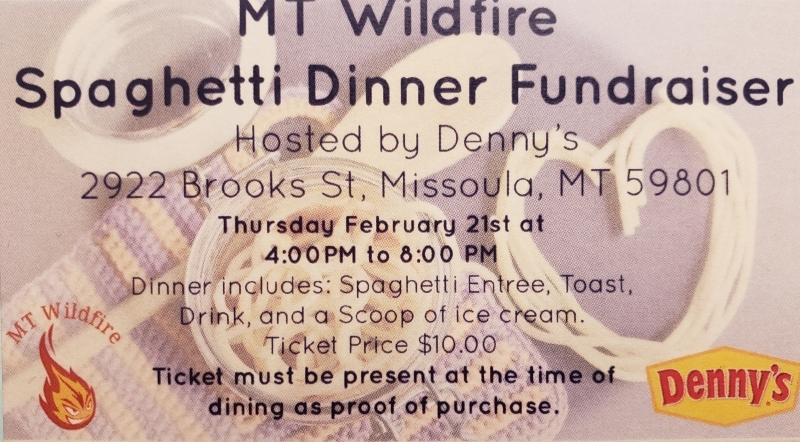 Denny's restaurant is hosting a Spaghetti dinner for us on Thursday, February 21st, 2019, 4-8pm. The dinner will include the spaghetti entree, toast, drink and a scoop of ice cream for $10. Please contact 207-7568 for tickets. You can also purchase at the door but advanced purchases are recommended so that we can have enough spaghetti on hand. Thank you!